Visual Retail Plus has partnered with a number of companies across the United States to create an e-commerce website that can be integrated with our point of sale software (POS); ensuring that your inventory remains updated at all times. Our integration keeps your entire inventory synchronized, both in-store and online allowing you to have a single customer database for both. Additionally, your order fulfillment will be managed from one source. 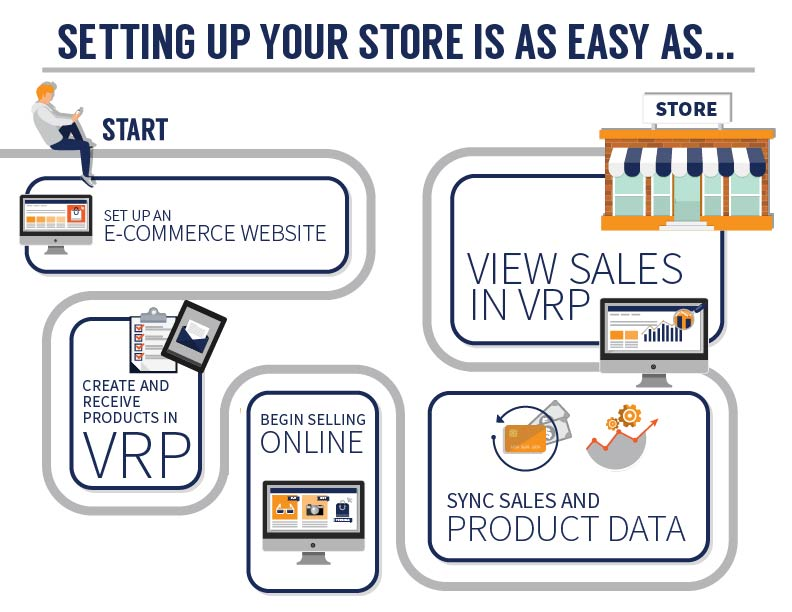 At Visual Retail Plus we are known for our flexibility, customer service, and openness; therefore, if you already have an e-commerce website in place and want to continue your current obligation to the company, we will do our best to seamlessly integrate VRP solutions with their systems. We have built export functions and an XML based on import module for e-commerce sales, including an integration with all Magento platforms. See How Easy Integration Can Be! With just one phone call, we will be able to determine just how intuitive it will be to integrate your website with our POS software. Locally.com helps local customers find your products online yet bring the customer to your store in order to see and feel the product while experiencing face to face and personable customer service. VRP will assist you in exporting your data at no cost to enable you to have that opportunity for online presence.